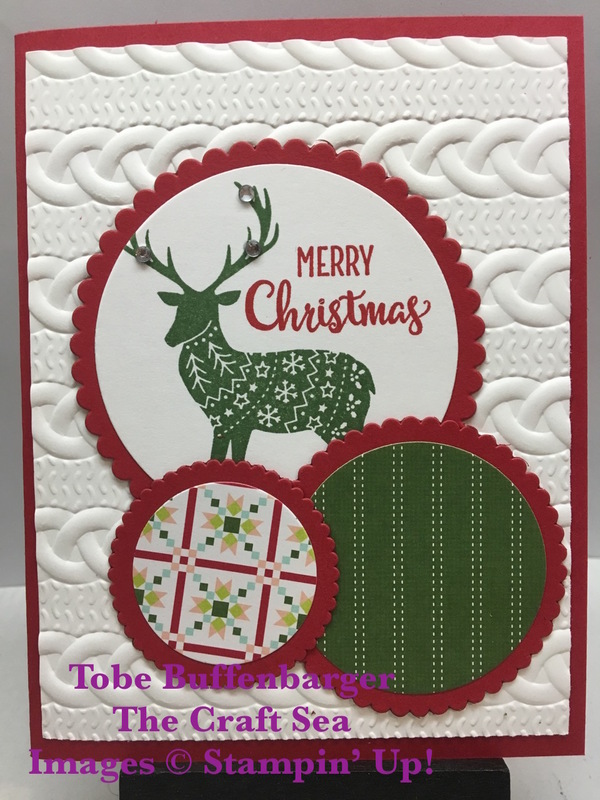 Today's card was the first of many Merry Patterns reindeer cards I made this month. I love the simple nature of the repeating circles with lots of texture and pattern. As a finishing touch, I added some rhinestones to the reindeer's antlers.